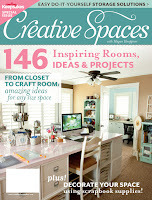 Creating Keepsakes has a new special issue available that has me positively drooling! 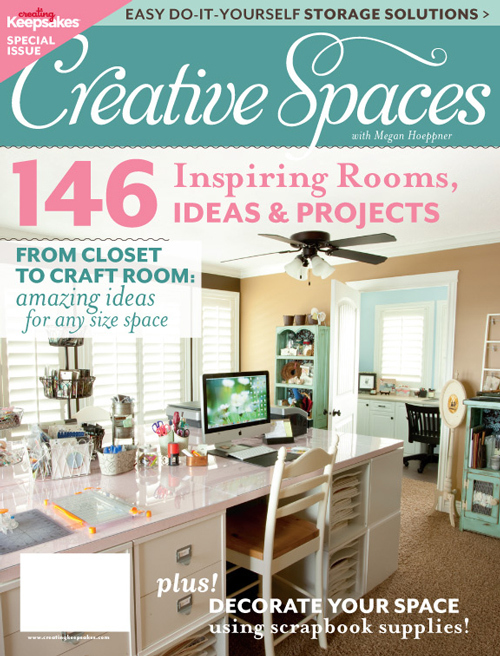 Creative Spaces is the title of a popular column within the Creating Keepsakes magazine issues, so they decided to give us more of what we love with this full issue dedicated to inspiring spaces! This special issue gives tours of a variety of scrap spaces from those that have only a little space to work with to those that are lucky enough to have entire rooms to spread out. There are also a variety of ideas for organization, decor and display projects to lively up your space and make you feel instantly more inspired the moment you enter your space. It is available for $14.99 on newsstands and also online through Scrap & Paper Shop. They are also offering a free shipping in the US if you order by May 27th. Just enter the code SPACESBB at checkout. Flip through the pages below for a little sneak peek! How would you describe your current crafting space?